This past weekend I went to a little girl’s birthday party. As I was helping to spring a princess doll from the shackles that protected her until her arrival at my little friend’s home, I noticed shiny iridescent strands in the doll’s hair. I had seen that before, but not on a doll — on Princess Piggy Poo. My precious guinea pig has the shiniest hair — err, fur. It’s as if some of her white strands sparkle like glass. I’m guessing it’s attributable to good health and regular brushing, or maybe all princesses come out of the factory with shiny strands to make them more regal than the rest of us. 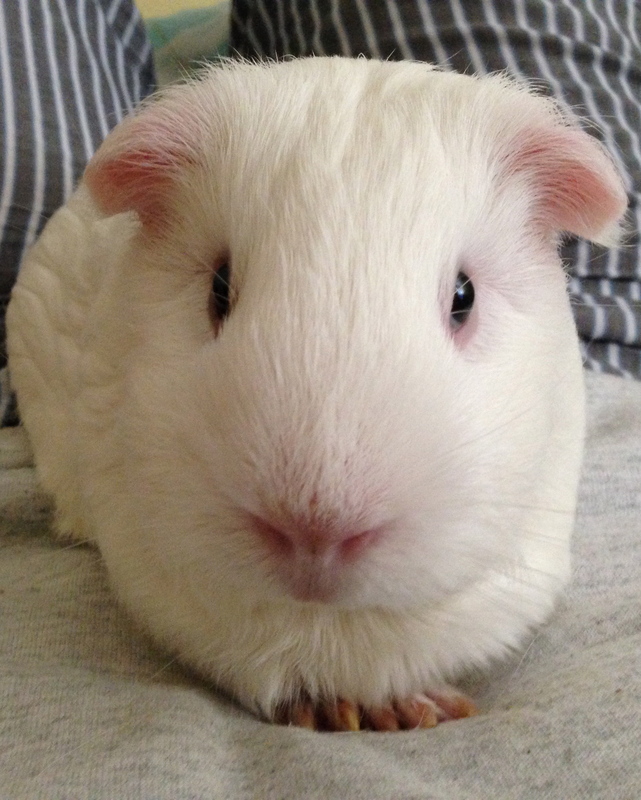 This entry was posted in Guinea pig grooming and tagged fur, guinea pig, princess, princess piggy poo, shiny. Bookmark the permalink. You are a very beautiful guinea-pig Piggy Poo. If I could I would take you out for moonlight meals, walks along the river, find you the greenest grass you have ever seen. Ah, if love was only so simple! P.S. Your mum was right first time, whee do have hair! Take it from me, the factory charges extra for those shiny strands. You got an exceptional princess!